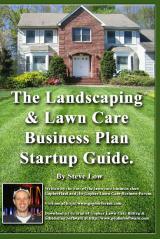 « Is your lawn care business overlooking great opportunities? How to make $200 an hour offering tilling services. 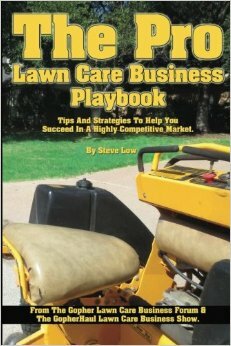 There are many ways to make money when running a lawn care business. 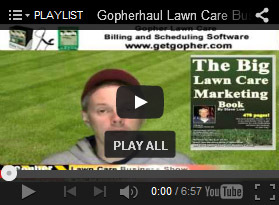 One great strategy we will see here in this discussion from the Gopher Lawn Care Business Forum, is offering smaller services that can open the door to upselling even more. 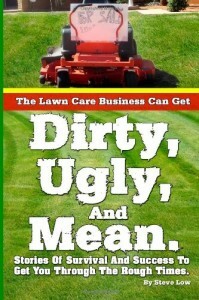 There are times when people may not need you for mowing, at least initially, but would like you to till their garden. 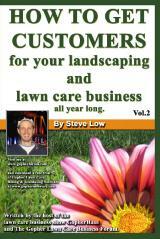 Offering such a service may unlock doors to customers you previously had a hard time reaching out to. 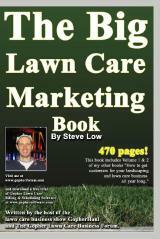 One lawn care business owner wrote “something really struck me today as I was out giving quotes. When we offer a host of services, we may advertise just one to push it in a certain season but we can still sell a lot more services once we are in. Let me explain. 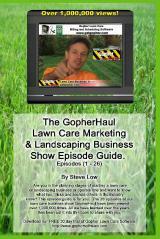 For me the latest service I have been promoting is tilling. 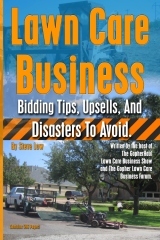 I can perform the service at a price I can profit at and it gives me a chance to meet new customers I might not have met if I only was marketing lawn mowing. I looked at 5 tilling jobs today yet I walked away not only with the tilling but a host of other services, spraying, pressure washing, chipping and excavation at two. Yet that is not why they called me in the first place. Initially they saw my small newspaper ad for tilling and called for that service. 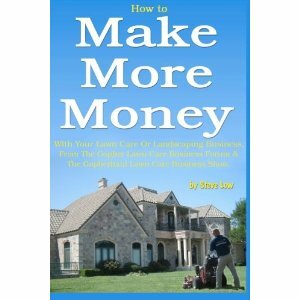 Offering a host of services allows us to really maximize the profit to be made at each clients property. 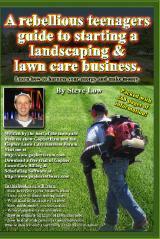 To promote the different services I offer, I have a separate post card for every service I do. If I am driving by a home or if we are working next door and see the neighbor has a garden, I will give them a postcard to promote our tilling services. 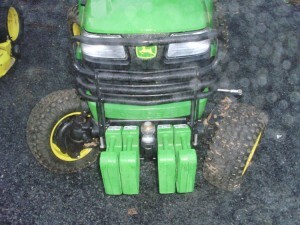 To perform the tilling I use my compact utility tractor. I tilled 12 clients last week. The tractor set up I have for it is super fast and the results are amazing. I win every job I bid as I am able to do it in a fraction of the time and the results are far superior to a walk behind tiller, as my tractor tiller spins at a far higher rate and that back flap is heavy. My setup levels and smooths out the ground as you go. I can till 45,000 square foot area in about 30 to 45 min. By hand that would be over half a day’s work to a full day. Operational cost is less than $1.00 in fuel and I am averaging close to $200.00 an hour while on site. If I subtract transportation and all the other costs the company is probably clearing in the $150. hr range. 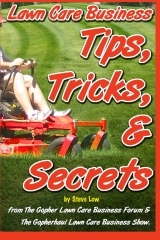 The tiller does an amazing job making the ground smooth (lawns & gardens) to a certain point. 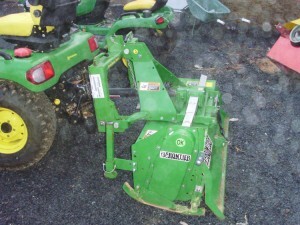 If the customer has large bumps on their property, I can also switch out the tiller and use a box blade. I have been on sites where I only had the tiller so I would explain to the client we can go at it in three directions and make it smooth however there will be an additional time cost. Most accept and will get a smooth job. One last attachment I can us is a landscape rake with gauge wheels that make a job look like a fairway if the client wants that extreme. 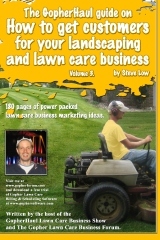 Last year I performed about 60 tilling jobs, with more gardens than lawns. This year it’s out of balance, and I am tilling 40% lawns and 60% gardens. People though still seem to be sick of their lawns and want them tilled under, rolled, top soil added and either seeded or sod planted. With all this activity, I haven’t seen the competition on the roads yet performing these services. 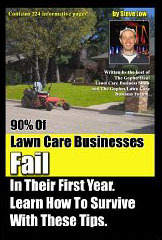 Order the book 90% Of Lawn Care Businesses Fail In Their First Year. Learn How To Survive With These Tips! today. 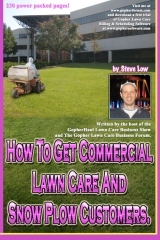 This entry was posted on Tuesday, July 17th, 2012 at 7:38 pm	and is filed under Box Blade, Compact Utility Tractor, How to Estimate - Services To Offer, How to Estimate Jobs, How to sell, Landscaping Business, Lawn Care Business, Lawn Care Customers, Marketing, Postcards, Pricing, Residential Customers, Tiller, Tilling, Tractor, Upsells, lawn care equipment. You can follow any responses to this entry through the RSS 2.0 feed. You can leave a response, or trackback from your own site.